I’m a big fan of The Radisson. I normally head through for cocktails and chilli poppers as the perfect pairing to their ‘sunset over the ocean’ view. 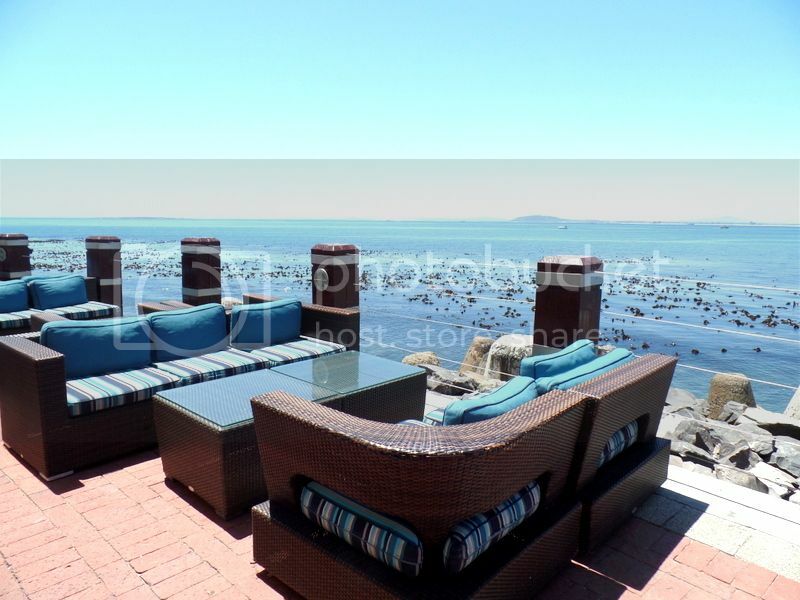 Their location and view must be one of the best in Cape Town and is always sweetened with a cocktail or two. Recently I joined them to try out their new Seaside Grill at Tobago’s, the hotel restaurant, which runs every Saturday from now until the end of April. The seaside grill is buffet style with highlights of line fish, calamari, paella, mussels, and seafood kebabs. There is also an amazing seafood curry which we couldn’t get enough off! 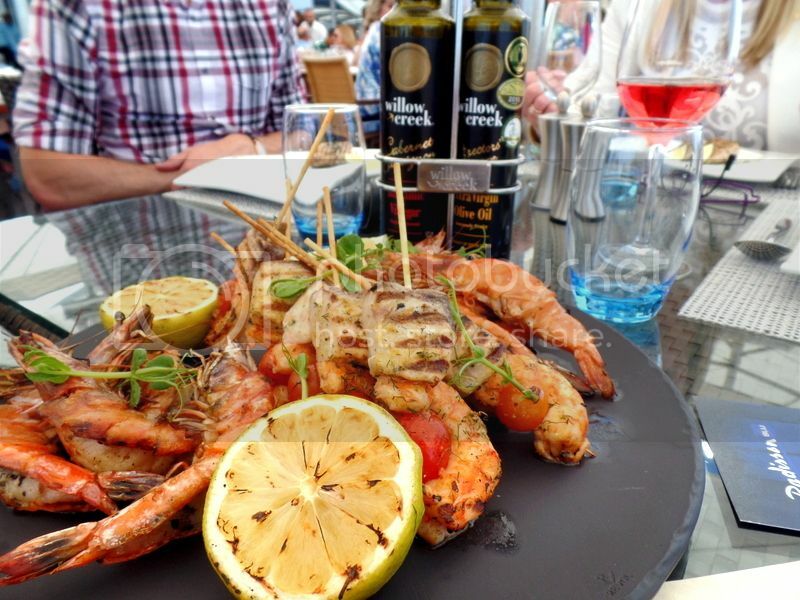 The full seafood grill is R295 per person and is available from 6.30pm to 10pm every Saturday. 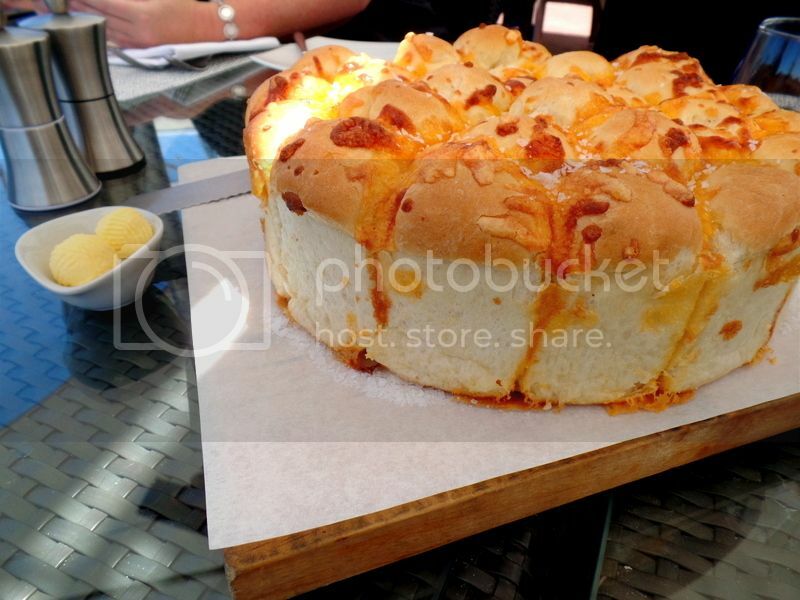 We started with tall glasses of ice cold bubbles and cheesy pull apart bread still warm from the oven. I have given up on a summer body being a thing this season and greedily tucked in to handfuls of bread! 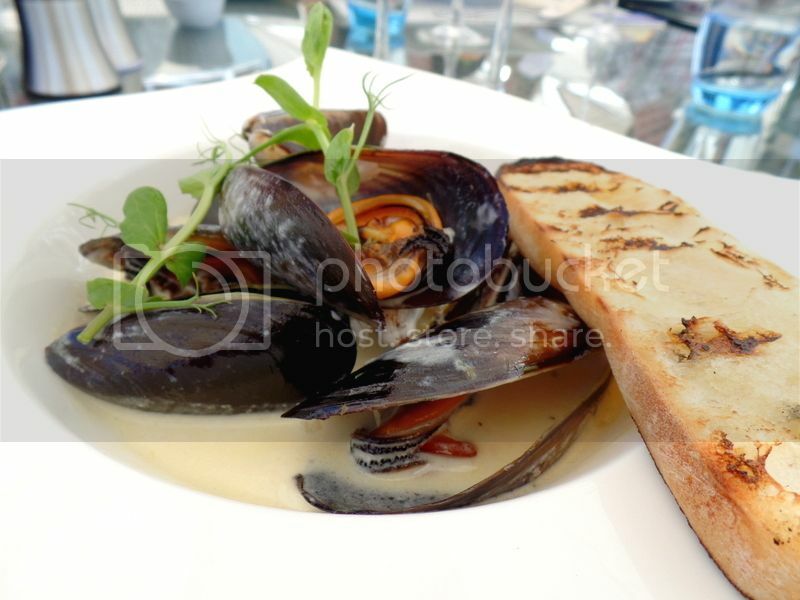 Our starter was a gorgeous dish of mussels in a white wine and cream sauce with a lightly toasted slice of sourdough. I have a friend with a plan to find the best mussels in Cape Town. I think Tobago’s needs to invite him over to try these mussels – because I have indeed found the best mussels in Cape Town. For the purpose of full disclosure I must tell you the best mussels I have ever had were found at the Pot Luck Club as a special for the evening. So whilst they were the best mussels I doubt I will ever be able to order them. So as it stands, best mussels in Cape Town in my opinion needs to go to Tobago’s at The Radisson. 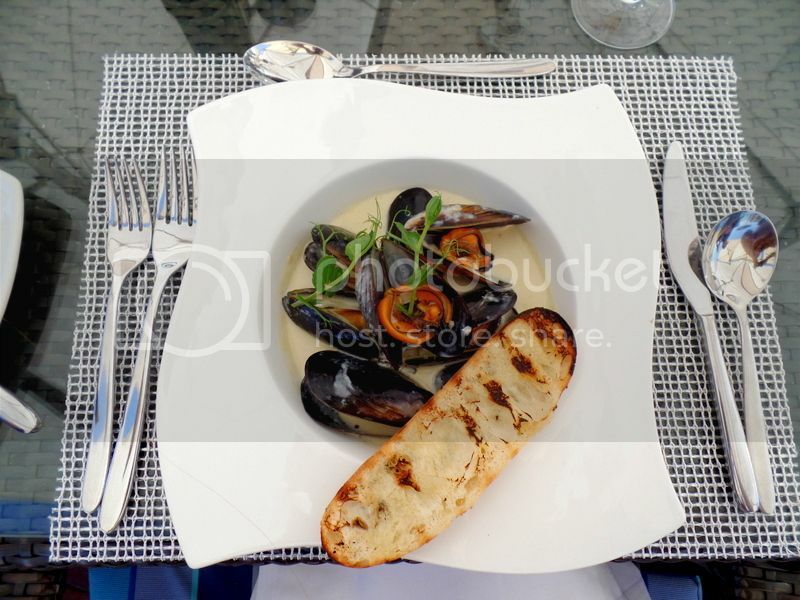 The mussels were only a tease- there was much more to come! Lunch was a giant affair and was served family style. Above are the beautiful prawn and line fish kebabs. The kebabs were delicious with giant tender prawns improved with generous squeezes of lemon juice! The table went quiet over these kebabs with sticky lemony fingers and big smiles! 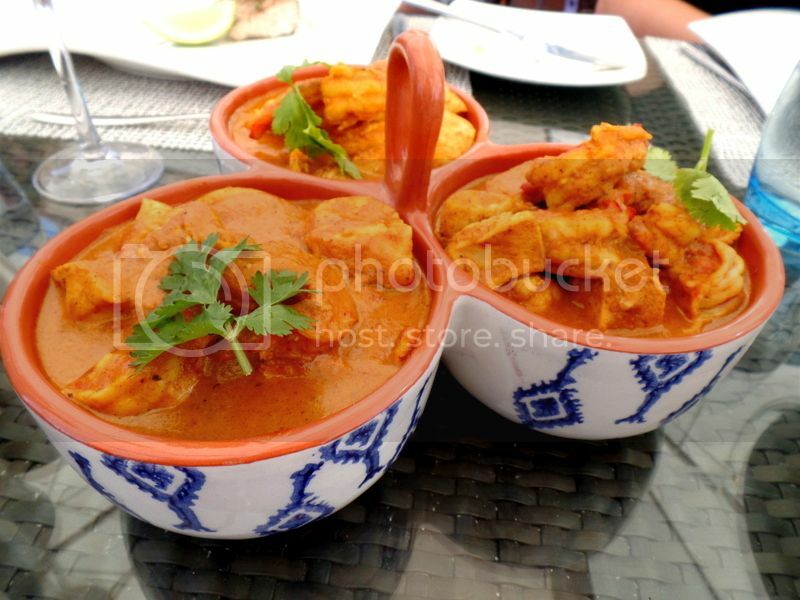 Top dishes include the chicken and prawn curry, and the seafood paella. 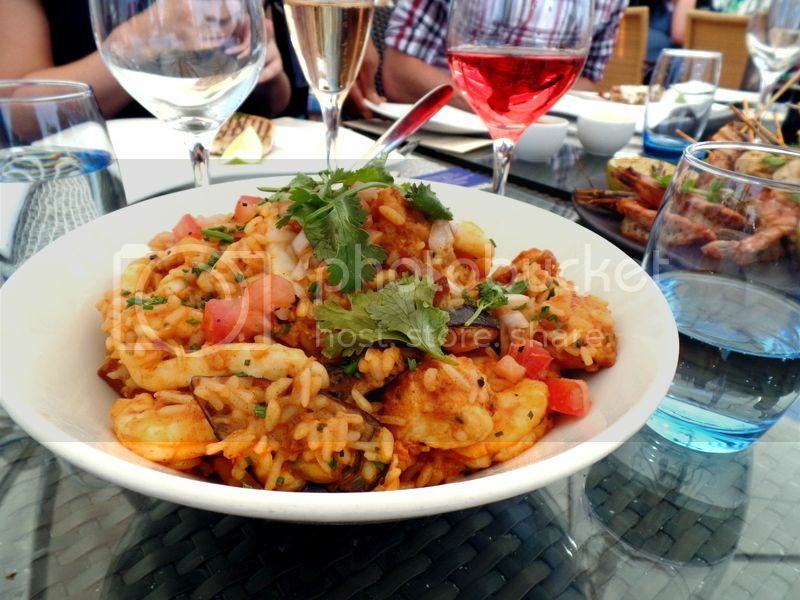 The seafood paella was one of the best I have ever had with giant prawns, mussels, tender calamari and crispy chorizo. This paella was beyond delicious and my favourite dish of the lunch! I love a good butter chicken curry and the addition of succulent prawns is a serious bonus! This seaside grill really is a dream! At this point we were all beyond relaxed and feeling pretty full. I think my jaw almost hit the table when the desserts started to arrive! 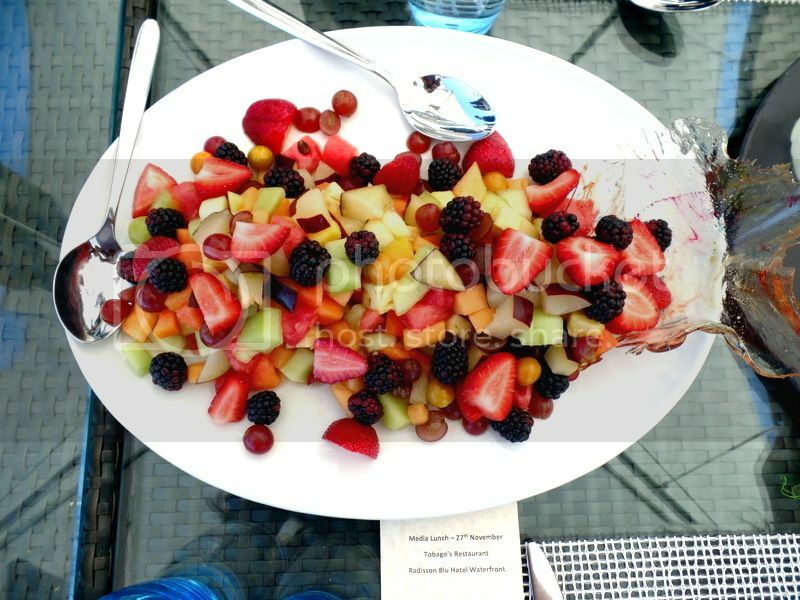 You can pretend you’re healthy by starting with the gorgeous fruit salad and berries. But we all know you’re not going to be able to resist the tarts and crème brûlée! 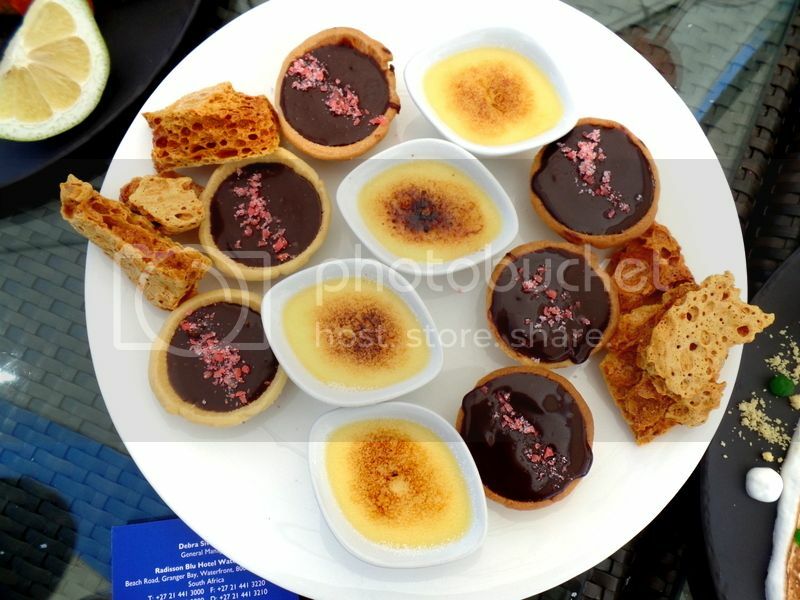 I for one certainly couldn’t resist the gooey chocolate tarts topped with bright pink popping candy! I love the inclusion of popping candy into desserts and I am seeing it more and more! Popping candy has this magic power to make you feel like a child again! The crème brûlée was another winner and a dish I would highly recommend trying. However despite all the delicious flavours the pineapple panna cotta was my favourite! 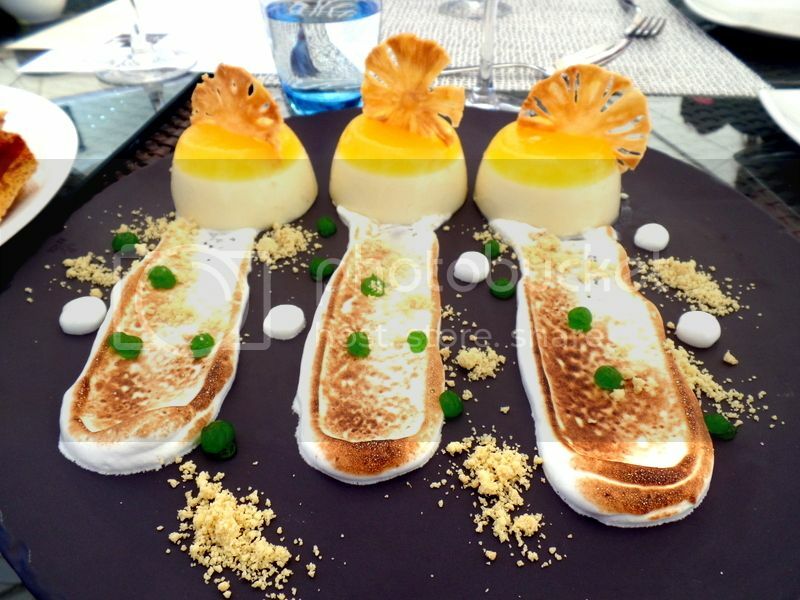 I’m actually not a huge panna cotta fan and would never order it myself in a restaurant! Being able to try new and more interesting dishes is a great benefit of a buffet! The pineapple panna cotta was sweet and cool and wonderfully fresh. It really is a fabulous summer dessert! The seaside grill at Tobago’s is truly fantastic! And really needs to be something on everyone’s Cape Town summer bucket list! 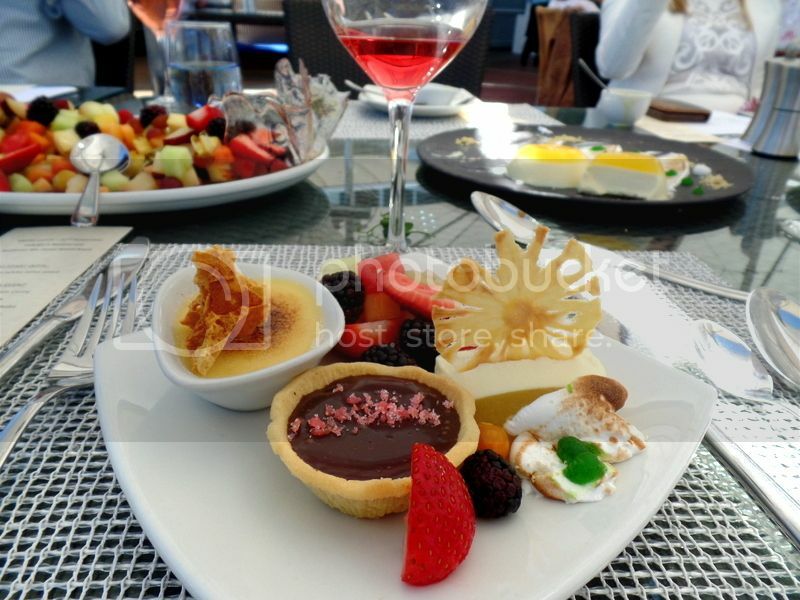 Disclosure: We enjoyed our lunch as guests of The Radisson Blu Hotel however all images and opinions are my own.